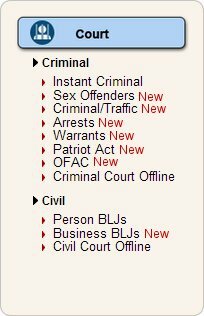 All new and existing searches can be viewed below. we will now offer a brand-new ComprehensivePLUS Report. This all inclusive report contains over 2 dozen data points on your subject, so you can get all the information you need in one place. See what’s included below. We have been working hard to make getting your information as simple as possible. With this release, we have added hyperlinks to all your search results. If an address, name or SSN is returned in one of our searches or reports, you will have the ability to click on that piece of information and immediately run another search. We have many more updates to share with you, so look out for more email updates in the coming days. where you can navigate to the search you are looking for. The active menu items are highlighted in orange so you know which search category is selected. 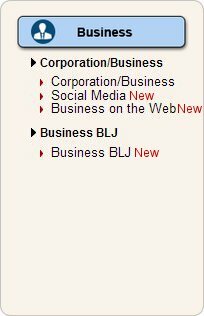 Another addition to the navigation of our website is the introduction of “Breadcrumbs”. Breadcrumbs provide links back to previous pages you visited. 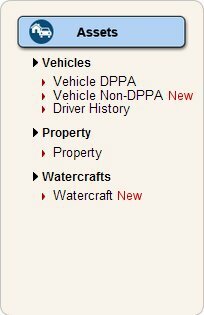 This feature will be available on all search and report pages. You will always know what page you are on! or run a completely new search without going back to the initial search screen. This search bar will be available on the results page of every search. We want to give you the ability to run a search in as few steps as possible. Left Image: This is what the search bar looks like. Middle Image: The first drop down menu allows you to select a new search. Right Image: The second drop down menu allows you to select the criteria you wish to search by. We are introducing a new and easy way to run reports. Simply click the “Buy Now” button next to the report you would like to run. Selecting the checkbox next to “Include MVR” will add MVR to your report. You may click the “Compare Reports” button to see a detailed comparison of both reports. 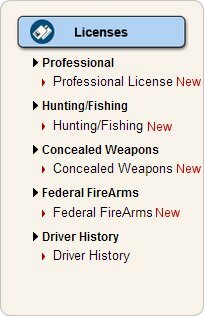 We want to make searching as easy as possible, so we included pre-defined search options for all of our searches. Clicking a tab will bring up the corresponding search fields for you to get started. The active tab is highlighted in orange. After running your person search, you will have the option to search for the most current address on your subject. 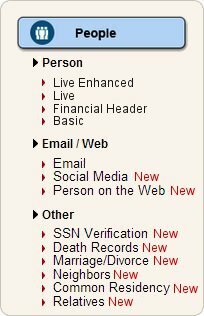 This option is only available on records that return an SSN. 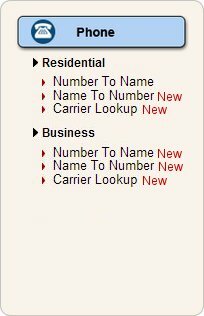 There is a link avaible for all searches providing you with the coverage area for that particular search. We made a few minor improvements to our login page. The options for new users to set up their account and for current users to reset their password, are now at the top of the page and stand out much more than before. We have also included a section where we provide information to contact us, how to schedule free trainings and recommended browsers to ensure you have the best experience utilizing the LocatePLUS platform. We are now providing better map integration within your results. Summaries and Person Reports have an embedded map for the most current address. we have included a “Quick Tip” section on the top of every page to walk you through every step of the search. Just look for the orange box if you’re stuck. We offer 1-on-1 training sessions throughout the week – Call customer service to schedule your session.